The median home value in Billings, MT is $202,700 This is higher than the county median home value of $201,800. The national median home value is $185,800. The average price of homes sold in , is $. Approximately 59.72% of Billings homes are owned, compared to 35% rented, while 5.28% are vacant. 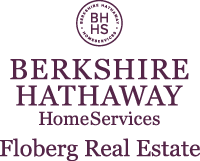 Billings real estate listings include condos, townhomes, and single family homes for sale. . Commercial properties are also available. If you see a property Billings real estate agent to arrange a tour today ! Totally updated, Spectacular home in the neighborhood you've been looking for that has fresh paint from top to bottom. Main floor updated with kit/back splash , corian counter,black stainless appliances, W-l pantry, main floor laundry & custom tiles floors. Large master with W-l closet & updated en suite with custom tiled shower, office/ den. 2 amazing F/P'S will help with heating, well connected to sprinklers to cut water expense & help keep the yard lush & green all within a large fenced yard. 2 storage sheds for storing tools, deck and patio to relax on. Extra parking area for trailer/boat or vehicle, Roof newer in 2016, all new flooring, paint, central air, one jetted tub, has insert in basement F/P & a double attached garage. Owner is a licensed agent in the State of MT & is also part owner in business Corporation. Home will be staged during the sale of home. Call agent for appt. Beautiful home located on a cul de sac. Many updates throughout! Brazilian cherry hardwood flooring, newer kitchen island w/ granite top, all stainless appliances. Great open floor plan, wonderful for entertaining. Formal living room and separate family room on main level. Tilt floors in bathrooms. Master suite has walk in closet. Laundry is on main level. Exterior new in 2016 including roof, siding, windows & rain gutters. Oversized garage 30'x23' w/ extra parking to the side. Landscaped, fully fenced yard. Maintenance free deck and separate patio area. The back gate opens to Briarwood Blvd. This home has an in house humidifier & water softener. All info per county records and seller. Buyer to verify. Very nice and clean home in Casa Village. Wonderful front porch and yard. Shed in the back stays. Single garage with parking pad. Lot rent is $375/mo and includes lawn irrigation. Buyers must be approved with Casa Village Mobile Home Park. NEWLY Remodeled 3 bed 1 bath in the heart of Billings MT. This home features Brand New Flooring, Carpet, kitchen and bathroom remodel. If your looking for the perfect affordable home then look no further. Desirable West End Acreage. Amenities include 4848 sq. ft. with 6 bedrooms, 3 ½ bath, large open kitchen with stainless steel appliances, soapstone counter tops, dining area, pass through gas fireplace, library, living room, family room, hardwood and tile flooring and so much more! Situated on 2.5 acres with 3 stall garage, covered wrap around porch, rear deck, and UGSP. Brand new Diamondcote siding & shutters. Crisp, clean and ready to move into. Tremendous pride went into the design of this spacious home with vaulted ceilings, cherry wood kitchen with island and pantry, large dining space, walkout lower level family room with large rec area. Main floor office and basement play room could serve as 4th and 5th bedrooms. Sunken living room with gas fireplace. Large deck overlooking the backyard. A rare find and a great value! Country setting close to town w/views! Beautiful craftsmanship in this Westend home sitting on 1.1 acre (option for additional acreage.) Radiant heat flooring. 2 Laundry Rooms. Formal LR. Fantastic Mud Room. Master has attached room perfect for a nursery, office or addtl bedroom on main level. Master w/see thru FP to master bath w/jetted tub & double sink vanities. Lrg walk-in closet w/transom window. 2nd master suite upstairs +2 rooms w/jack & jill baths & 2 and Family room area- perfect for kids or mother in law suite. Custom Hickory kitchen w/solid surface countertops opens to dining and great room area. Spacious basement with room to play! Gaming tables negotiable, theatre room space, just needs flooring and ceiling finish. Bsmt bath plumbed for sauna. Triple garage w/heated floors, separate 3rd stall vented for diesel, floor drains, lawn mower storage w/OH door. "Rare find!" horse lovers delight with great water. 2 Wells, custom barn with tack room, stalls & large shop. This country estate is minutes from downtown but private in so many ways. Spectacular 2 story affords gracious living with room to roam. Approximately 100k in recent updates. This wonderful heights home has staged pictures for the internet only, large ranch home built in 2006 , vaulted ceilings,with six bedrooms(3 up, 3 down) and 3 baths, gas F/P up and down, stainless appliances, located just 1.5 blocks from Alkali Creek School, Castlerock for junior high, Skyview for High School, engineered hardwood floors on the main with extra large walk in kitchen pantry, separate large shelved storage room down, Extra large family room downstairs, new trex deck, undergrounded sprinklers, three car garage insulated and heated with shelves and openers on all doors, new roof in about 2015. Affordable living in this two bedroom, one bath ground floor end unit condo in the Heights! New flooring, paint, appliances, and no popcorn ceiling! Wood burning fireplace is the centerpiece of the living room providing warm ambiance. Off street parking and backs up to a wooded area. Must see inside to appreciate! Clean and Bright! The updated kitchen features painted cabinets, stainless appliances, high def laminate, and tile backsplash. The main floor consists of a master suite with shower, a large guest bedroom, and full guest bath. The basement offers options! 1 bedroom with egress window, 1 bedroom with non-egress window AND bonus room w/ non-egress window that has been converted to a large closet. Attached single car garage is finished. New water heater in 2018 and AC unit is new in recent years. Nicely landscaped yard with UGSP. Seller is related to list agent. All info deemed accurate - buyer to verify. Gorgeous Single level home with a perfect view of the Beartooths. Cherry Cabinets, Quartz counter tops, 9â ceilings are among the custom finishes. Huge 3 car garage, Covered back patio, fenced yard with underground sprinklers. Quality built, one owner home, extremely well maintained. Amazing views from wall of windows in living room. Daylight windows in family room. 2nd kitchen area in basement. Fenced yard area but not entire 1.442 acres. Seller providing one year HMS Warranty. Under construction. Completion estimate 4/30/2019. Oak Floor plan. 3 bedrooms, 2 full baths. Main level living!! Vaulted ceilings in large living room/ dining room. Stainless appliances. Vinyl fencing included. Attached double garage with door opener. Includes a patio off the kitchen. All inspections to be coordinated thru listing agent. Additional floor plans under construction-call listing agent for details. Enjoy a little space in country. Plenty of elbow room for you plus the animals. The seller has painted and updated throughout. Open concept living, kitchen, dining. New tiled bathrooms, new laminate floors, shop/garage is heated with wood stove, plenty of space. This home includes front and back patios, front and back staircase. (Handy for the pasture) 2 wells, house and pasture. Chicken coop and pasture ready! Charming Rustic 3 Bedroom, 1 Bath Ranch style single level home. Original hardwood floors in living room and bedrooms. Detached 2 Car Garage and 2 Sheds! Sits on a large lot with backyard underground sprinklers. Great location close to schools and grocery store. Beautifully landscaped yard. Lockwood is a proposed sewer district. Contact Lockwood water for sewer details 406-259-4120. Modern Home by Artwork Builders is accented w/ a mix of Metal chrome-like siding & dark wood siding. Still w/ one-level living but also an added bonus oversized three-car garage! Interior of Home touts unique, fun finishing's to include checked floors in kitchen, black barn doors, Chrome accents; a Living Room w/ a gas fireplace & higher ceilings; formal and informal eating areas, and a master suite w/two walk-in closets, a soaking tub, shower and double sinks. Artistic design! Sod and Sprinklers included in front of house. Love, love the sage green exterior color of this home and the hip roof! However, the interior grey tones with white trim and cabinetry is so soothing and well designed. Notice the Luxury Vinyl Plank flooring as well! Great One-level floor plan with no steps and a huge master suite with plenty of space. Whether you are looking to downsize or want a starter home you can manage, Artwork Builders has created a great new construction home for you to own. Pristine home located in the highly sought after Alkali Creek neighborhood. Pride of ownership shows in this impeccably cared for home. The appeal of this home starts at the curb and continues throughout the home. Huge master suite with a bedroom sized walk in closet. Large, open living areas highlight this homes effective floor plan and use of space. Lots of storage with a work/storage room off the garage. Large yard with underground sprinklers and fencing. Just minutes from downtown Billings and all the entertainment venues it has to offer. Close to shopping and walking/biking trails, this home is ready for you to call it home. Townhome in great Westend location! Excellent natural light throughout! Open kitchen, dining and living room area. Deck off the Living room. 2 full bath rooms and 3 bedrooms -3rd bedroom is loft concept. Attached garage HOA covers exterior maintenance, exterior insurance, lawn care, snow removal, water, sewer and garbage.